But to Christ's athlete, in these latter days. 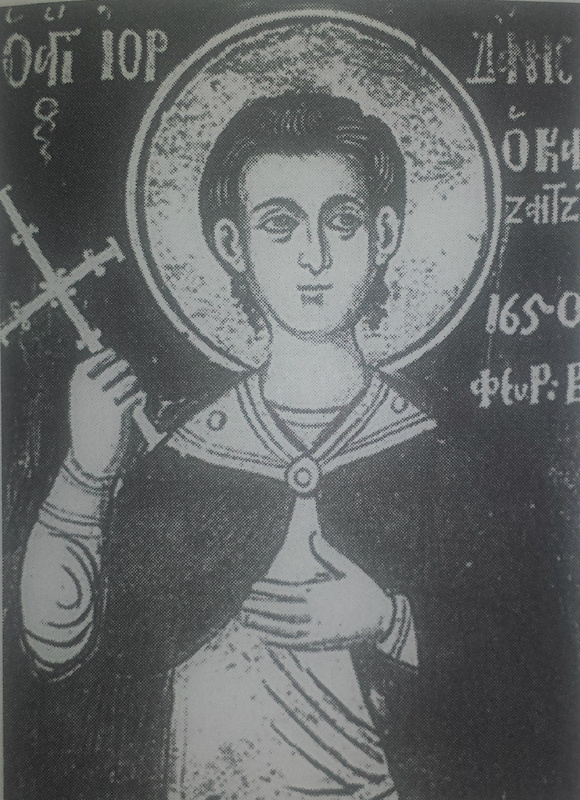 Blessed Jordan was from Trebizond. He was a forty-year-old married coppersmith, from the Galata district of Constantinople. On the eve of the Feast of the Reception of our Lord (Feb. 2), Jordan was playing cards with some Hagarenes who were companions and fellow artisans. They were sporting and jesting in his workshop that was located in a place called "Sultan Bayezid". One of the Muslims scoffed in Greek, saying, “O mangy Saint Nicholas, help me to win!” Jordan countered this remark by jokingly calling upon their Muslim prophet, Mohammad, in the same fashion. At this point, each one of his dissipated companions went off on his own. The following morning, however, one of them took steps to bring an action against Jordan, complaining that he had insulted their prophet and therefore merited death. Now when Jordan heard news of this accusation, he took flight. He hid away in the house of a prominent Hagarene. But the Turks promulgated another feftan (order) stating that “should any Turk offer refuge to any Christian who speaks in a wicked manner of Mohammed, that Turk would be liable to punishment as an infidel.” On account of this decree, Jordan’s sympathizers were compelled to surrender him to the vizier (judge) and to testify that he had reviled Mohammed. Thereupon the vizier commanded the prefect to accompany Jordan to his shop, according to his request, and then to strike off his head. Jordan went and settled his accounts with his associates. Then he received the final forgiveness from the Christians. For the sake of his soul, he also bequeathed his possessions to the Church, monasteries, and orphans. He was then taken to be beheaded. Jordan ran joyfully down the street, even as the Prophet David’s “deer pants after for streams of water” [cf. Ps. 41:1]. Jordan also gave thanks to God who granted this longed-for martyrdom. The martyr once more then asked forgiveness of young and old alike, of all whom he chanced to meet on his path. All were amazed upon beholding the blessed Jordan. He neither feared, nor shrank back, nor altered his facial expression in the least. In fact, he proceeded on the path rather cheerfully. When they arrived at Kioutsouk-Karamani (Kutzuk Karaman), the prefect leaned over to strike off Jordan’s head. Then suddenly, a sergeant of the vizier arrived and whispered to the Martyr: “The vizier sends this message: he has taken pity on your life. If you should only utter a word now, to make it appear as if you have become a Muslim, afterward you would be free to go wherever you will, and even resume your life as a Christian." The Martyr replied, “Indeed, I thank the vizier; but what he proposes I will never do." With this statement, the blessed Jordan bowed his head, upon which the executioner brought down his sword. After the execution, that same evening, Jordan’s relatives and friends, who were in that district, took up his holy relics. This, of course, was only achieved after paying the Muslim authorities an exorbitant sum. The Christians, thereupon, with honor reverently buried the relics of Saint Jordan with honor in a place called Beyoglu (Karakoy), to the glory of Father, Son, and Holy Spirit. Amen.